The tsunami of 26 December 2004 devastated the lives and livelihoods of millions of people. 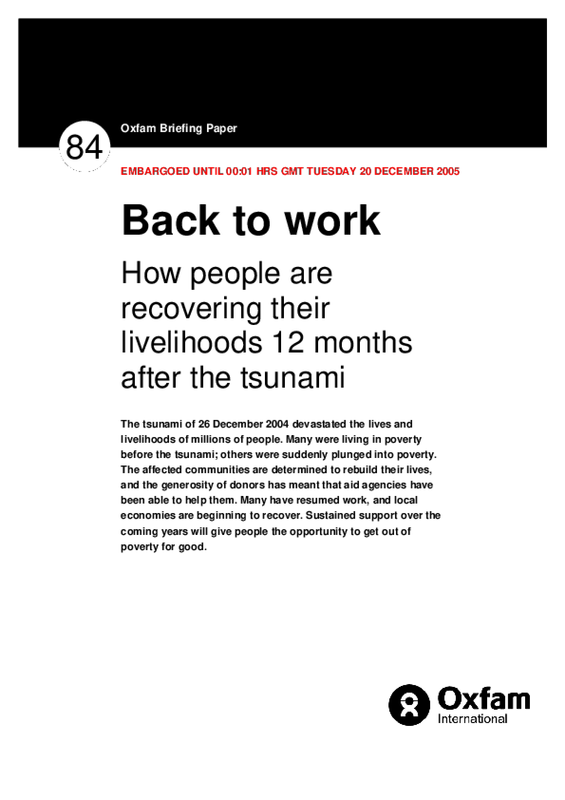 Many were living in poverty before the tsunami; others were suddenly plunged into poverty. The affected communities are determined to rebuild their lives, and the generosity of donors has meant that aid agencies have been able to help them. Many have resumed work, and local economies are beginning to recover. Sustained support over the coming years will give people the opportunity to get out of poverty for good.